Because Paris apart from the city of romance, love and fashion is at the same time the paradise of foodies. 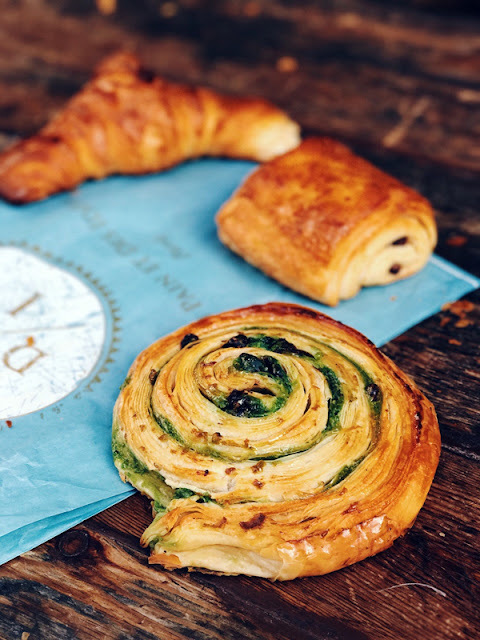 So if you are planning a trip to Paris, take a look in my post about the 5 cool things to do in Paris and keep in mind that trying out some of the classic Parisian flavors is just as important as visiting the city's major attractions. I do not know if there is a person who does not like croissants. But even if there is one, in Paris he will change his mind. It is crispy with a beautiful golden color and fluffy, with intense buttery flavor. It does not matter if you eat it plainly, with chocolate, jam or ham, because in all ways it is wonderful. 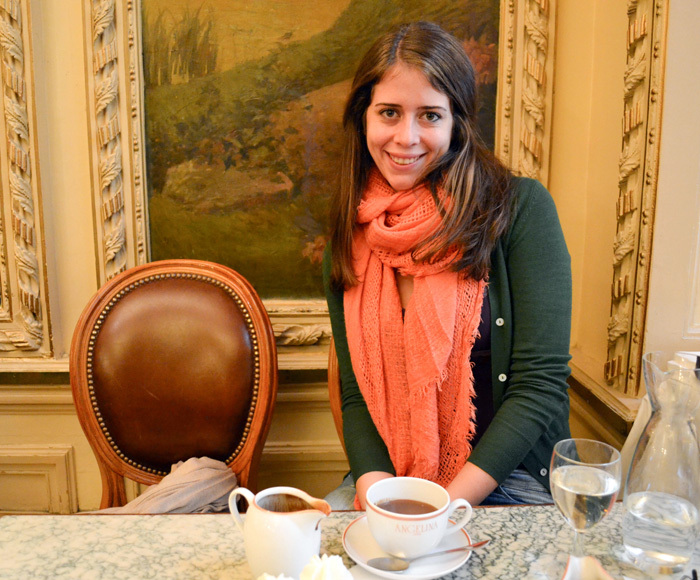 Hot chocolate in Paris is identified with one and only café. Angelina. Angelina is located on 226 Rue de Rivoli, just a few meters from the Louvre Museum. After your visit to the museum, take a stroll from this beautiful café to enjoy the thickiest and creamiest hot chocolate you've ever enjoyed! There is no café in Paris that does not have the croque-monsieur on the menu. If you are looking for something delicious to snack, definitely try this warm and crisp sandwich with ham and cheese usually served with Béchamel sauce. 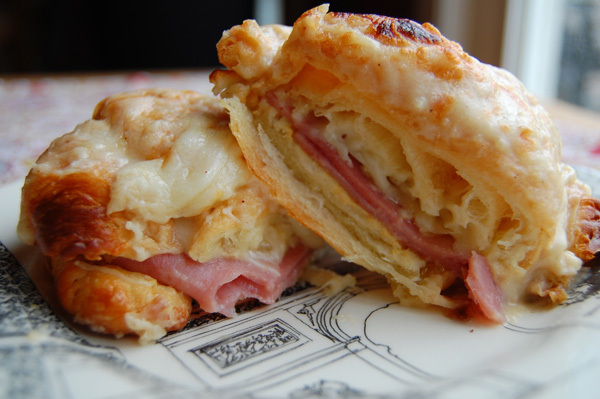 You can also try the croque-madame, which is exactly the same with a fried egg at the top. 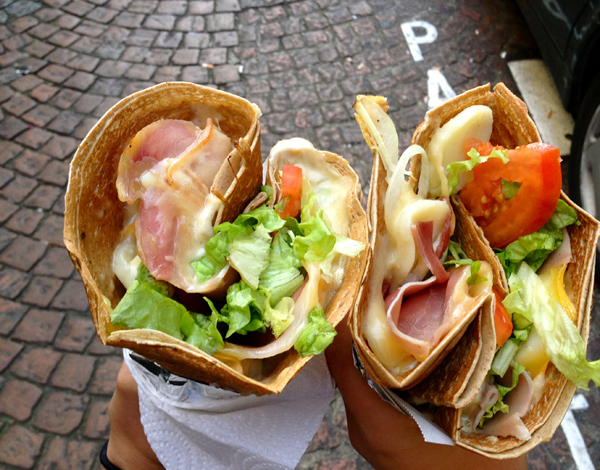 I never liked sweet crêpes, I want the crepe filled with ham, cheese and some salad. And so does the French. So when you come to Paris, do not order a crêpe with a nutella, but a savory one gallete. 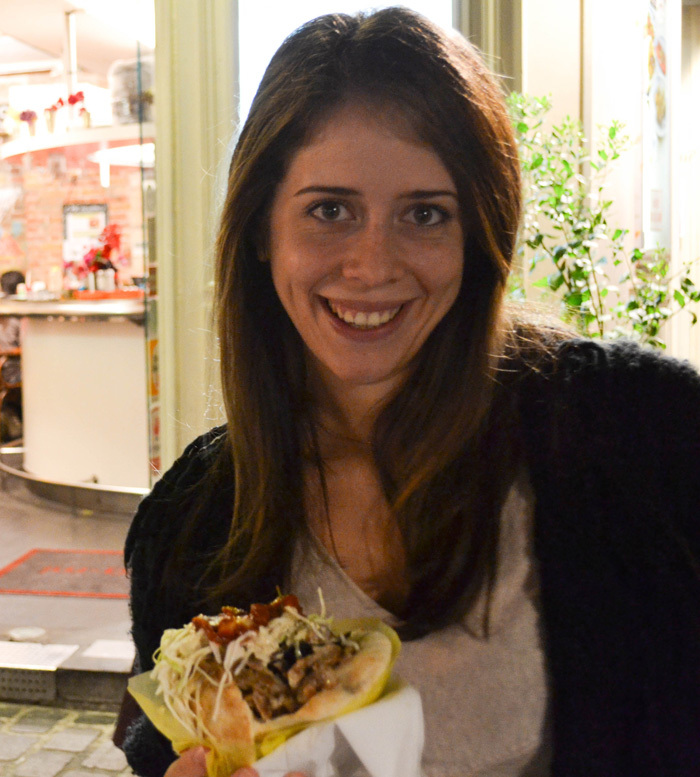 And that's the time you are thinking, why to eat falafel in Paris? Well I totally understand you. There are only few times when I visit a place that I choose to eat something that comes from another cuisine. But there are times when you have to make an exception. So if you find yourself in Marais and want to take a break from the French flavors, falafel is the best choise you could make. 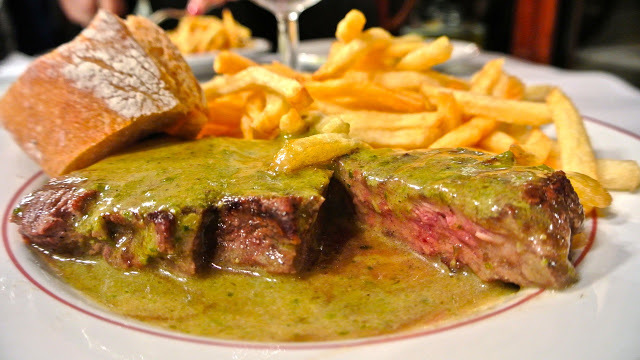 I do not think there is a dish so much identified with the French cuisine as a beef steak accompanied by french fries. Whether it is cooked rare, medium or well-done, I guarantee you that in Paris you will eat the best steaks ever! 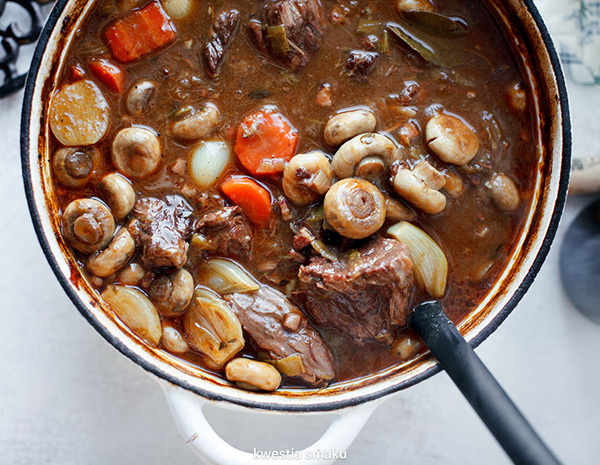 There are few dishes that can be compared to the rich and full taste that swells your mouth when Bourguignon Beef is tasted. It is another classic French beef-based dish, which is cooked with red wine, onions, mushrooms and bacon. In Paris I ate duck for the first time in my life. And I loved it! 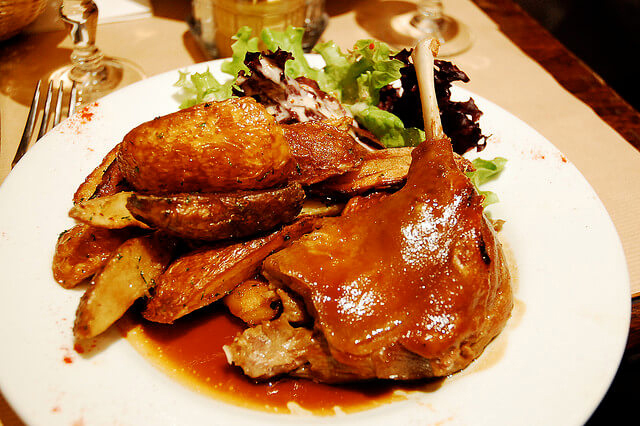 Try out either magret de canard, which is a juicy duck breast with a crispy skin or confit de canard, which is a tender duck leg cooked in its own fat. 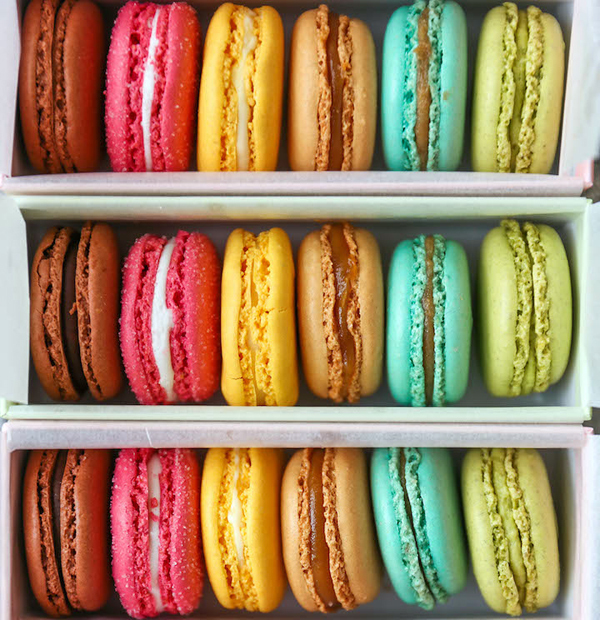 Even if you have not been to Paris, you have certainly seen pictures of these little colorful sweets. 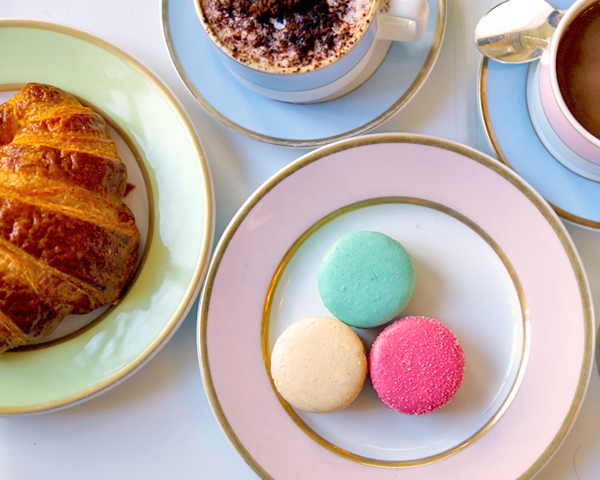 Macarons are the best-selling biscuits in France, which come in different colors and flavors and literally melt in the mouth. Try out enough until you discover your favorite flavor. 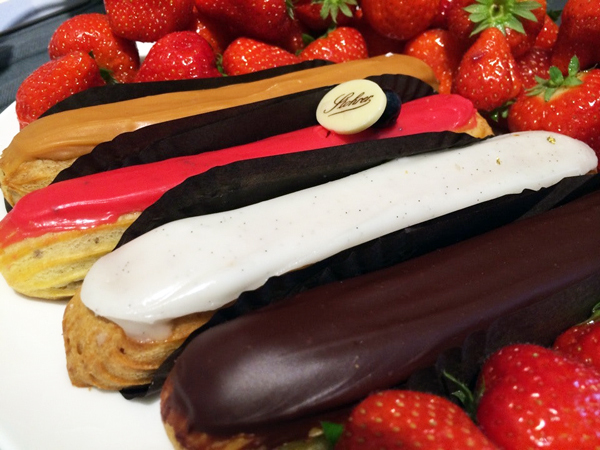 Ok macarons are great, but nothing compares with a light, creamy éclair. It was first made in the late 19th century and is one of the most traditional French desserts. You will find them everywhere in the city with many interesting variations.